» Forum » Electro-Mechanical » EM Bingos » Bingos bingos bingos!! I just can’t help myself!! After buying my first bingo, Big Show. And getting it fixed, playing it for a couple weeks, I bought two more and working on them currently. I now have an addiction and am looking at buying 4 more!!! Will it ever stop!!! And I’m just curious what everyone thinks a used non working bingo goes for? Particularly these bingos, county fair, Miss America, ballerina, and manhattan. Thanks in advance!! I would think $500 or less depending on the condition. My baseline for a game with solid cosmetics and a good cabinet with correct legs is $250 non-working. I adjust down from there depending on cosmetic condition (not dirt, but missing artwork, replaced coin door, angle iron cradle, etc.) or missing units/coils/etc. The title does matter, though. Some get a $ jump in my head due to features, rarity, or etc. It also depends on your part of the country. 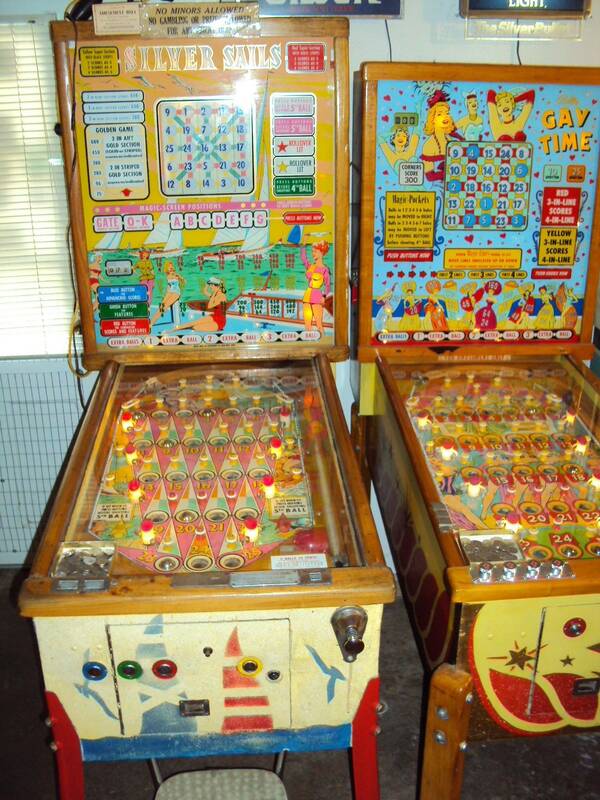 County Fair is the first OK game and has one of the best Bally art packages (in my opinion). A fantastic Magic Screen game. Ballerina is the only game with the 1-7/7-1 feature and has one extra section on the screen compared with every other game but Sea Island. I lose on this one quite a bit. 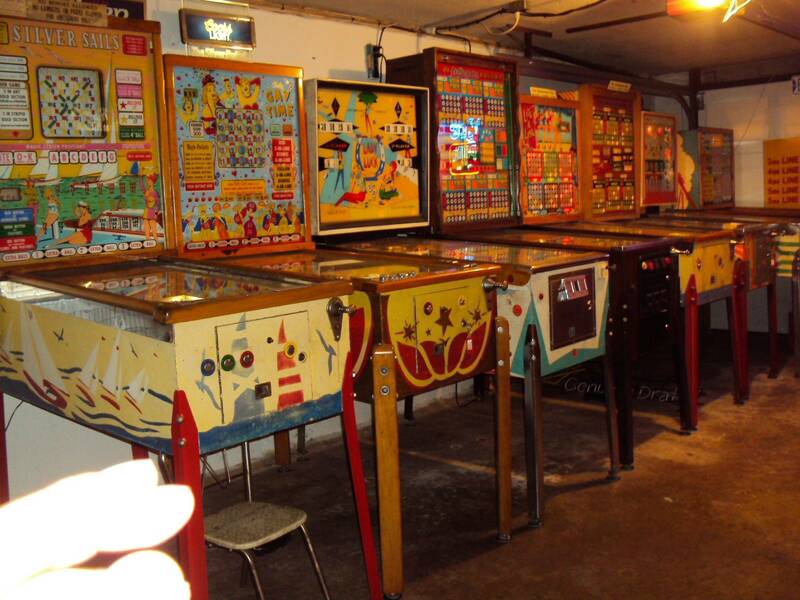 Miss America was incredibly popular - so much so that there are four different versions that Bally created. Which one are you looking at? I prefer the original, Miss America '57. And Manhattan is a 2 card game from United. Many of their popular features of the time are present, along with the ability to score on both cards independently. With Lite-a-Name and select-a-spot, there are a lot of ways to win. One thing I've found on United games is that the extra ball feature is a lot tighter than comparable Bally games. Played a Golden Gate recently. Love that Bingo game. Can't wait to find one in the near future. Golden Gate and Silver Sails are exactly the same games only different themes. I hade a Golden Gate but sold it because I like the Silver Sails artwork and theme better. Your looking at your local C/L offerings? I recently purchased a Broadway (55 not 51) for 100$ in similar condition. I thought of checking out them myself, but already have a Flight 2000 project. I wouldn't pay much more then that for a non working machine. They have been listed before a while back i recall seeing them. This guy is telling me he wants 650 for all of them but I’m not willing to pay that. Looking at the pics from what I can see the play fields look very bad. That’s what I paid for my big show. Bally Sun Valley 1957 bingo, $150. I've not posted my Sun Valley that I am looking to sell. If you want first crack at it, it is in Cincinnati, OH 45140. Working all the way. $800.